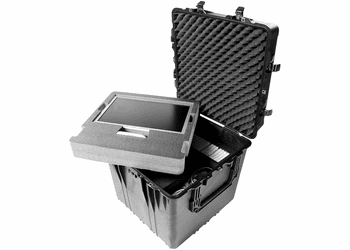 #0370 CUBE CASE Introducing the Pelican 24"" Cube Case. 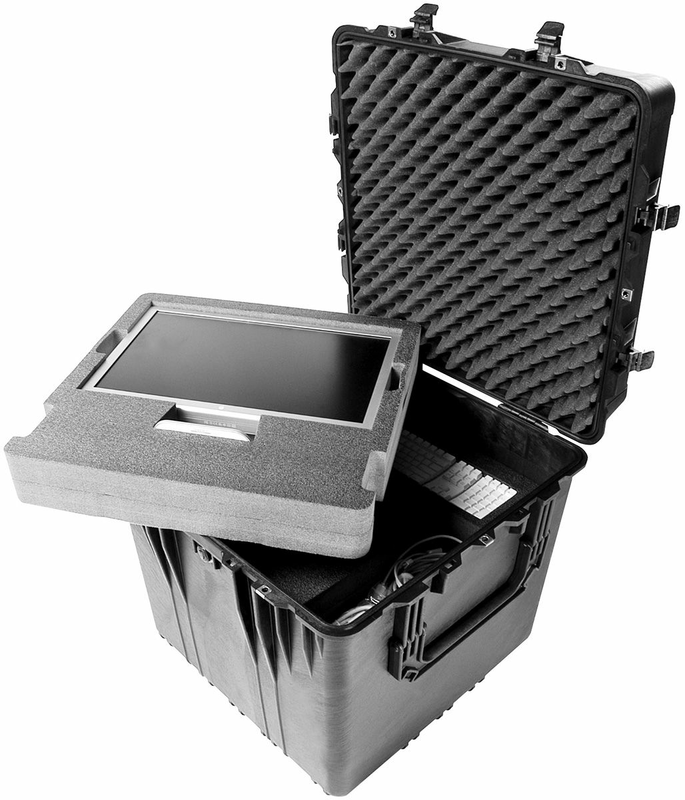 We teased our engineers about pocket-protectors and they came back with the new Pelican 24"" Cube Case. It’s so square we thought they were having one on us. Then we showed it around and realized they’re on to something. Extra deep so you can layer foam or padded dividers (it’s like a split level condo for gear). Which is why it’s got those gorilla-sized handles: a man on each side with a double hand hold each to heave those heavy loads. Available with optional detachable caster wheels. Lid Layer 1 1.90"" Pad, Lid Layer 2 2.00"" Convolute, Base Layer 1 1.00"" Pad, Base Layer 2 1.00"" Pad, Base Layer 3 4.13"" Diced, Base Layer 4 4.13"" Diced, Base Layer 5 4.13"" Diced, Base Layer 6 4.13"" Diced.